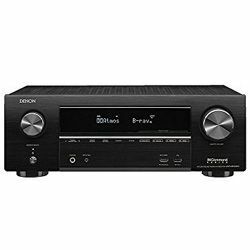 Due to the Denon AVRS740H review and testing in real conditions, I had an opportunity to find advantages and disadvantages of this receiver. The brand itself usually presents only high-level products and mentioned unit didn’t become an exception. It works well, has an amazing design, wide set of features, and is able to impress even skeptics. 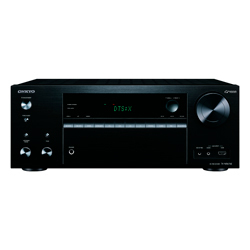 The Denon AVRS740H has a modern appearance and became a real presentable addition to the interior. The box is performed in a very thoughtful way because its construction helps the whole system cool down and not accumulate the dust. Its opaque obscuration can hide all the small scratches and other visual injuries after falling. The device’s legs also contribute to ventilation and protect the unit from the accidentally spilled water. The back side of the device proposed all the needed inputs and outs. The only thing, which I didn’t like, was the absence of the front cover. The buttons and other connectors were very visible, and I wanted to hide them. 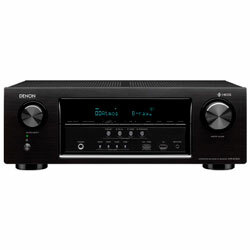 After Denon AVRS740H specs review, I was sure, that this device won’t disappoint me. 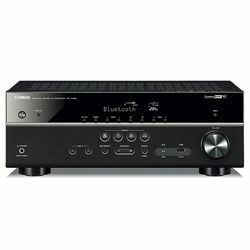 I was right because the AVRS740H quickly connected to my PlayStation 3 and UHD Samsung Blu-ray player. It showed me all the positive sides of such services, like Pandora, Amazon Music, Spotify, TuneIn, which worked without problems. 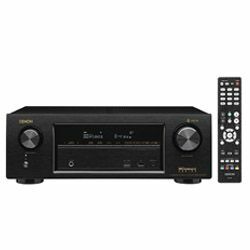 The Alexa voice controlling was amazing but only before the firmware updating. After renewal mentioned feature refused to perform its main task. Such a situation made me puzzled. 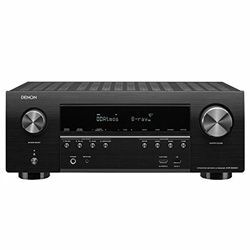 The Denon AVRS740H easily connected to my smartphone, so I could control it (change the volume, play next track) even from outdoors. Bluetooth worked as it has, so I truly enjoyed it. 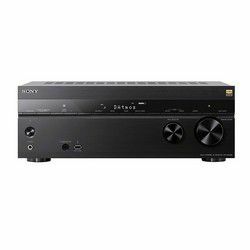 The unit included a 4K/HDR compatibility, supported multiroom music, Dolby Atmos and DTS:X. I had everything I need. It has no glitches with a connected Apple 4K TV. It appeared a problem with a projector. The device didn’t drive the projector and I had to install a special repeater on it. Of course, it was an extra work, so I managed with that, but such a strange situation left a strong sense of displeasure in my heart. I was also disappointed with the AM/FM working. The unit presented to me 40 preset stations, but almost a half of them worked with disruptions. After successful calibration, I started to enjoy the music and envelope sound, which filled the whole room. The most emotional scenes were strengthened with a powerful sound of bursting, guns blazing, and others. Even the soundtracks were perceived in another way, so I found a lot of interesting and noteworthy songs. 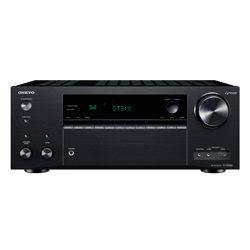 The volume has a wide range of possibilities. I started playing the tracks on a high volume and enjoyed them in the front yard. I truly rejoiced in the possibility of having all the components plugged into the receiver via HDMI. 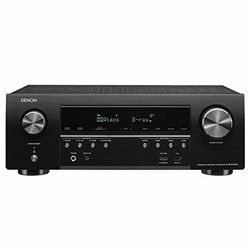 The Denon had 5 HDMI inputs and 1 output, which were enough for everyday usage. By the way, the USB, phones, and subwoofer outputs worked well. The signal didn’t disappear, and plugs were reliably established in connectors. The calibration was quick and easy. The on-screen instruction demonstrated every setting step, so I did all the procedures after 30 minutes of endeavors. 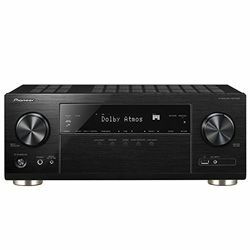 I was pleasantly surprised that after the auto setting the subwoofer volume wasn’t very high, as it usually happens with other receivers. 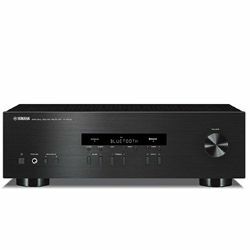 I totally recommend this receiver, but it’s better not to perform the firmware update because the consequences may be sad. Among positive characteristics I can allocate the stylish design, ability to cool itself down, the presence of the duct protection, opaque obscuration, performing of Pandora, Alexa, Amazon Music, and other services. There were also things which I didn’t like: the absence of the front cover, the inability to connect the projector, and bad AM/FM working.